To give an idea of how dangerous bicycle riding is, only 1 percent of trips in the United States are on bikes, but bicyclists visited emergency rooms 494,000 times in 2013 and there were 900 bicycle-related deaths. While wearing a helmet may help reduce head trauma if you crash, it will do nothing to prevent a bicycle wreck. Bicyclesafe.com calls it a myth that use of helmets is the first and last word in bicycling safety, adding that there are defensive riding tips a bicyclist can employ that will reduce risk. That said, the American Automobile Association says use of a helmet can reduce risk of serious injuries by up to 85 percent. Almost all experts agree that helmet use is imperative. California law requires riders under 18 to wear one. Bicyclesafe.com also says that the advice to follow the law is right in obvious cases like not running red lights, but good riders need to do more than just follow the law. For example, by riding as far to the right as possible you may be “doored” if someone opens a car door right in your path. 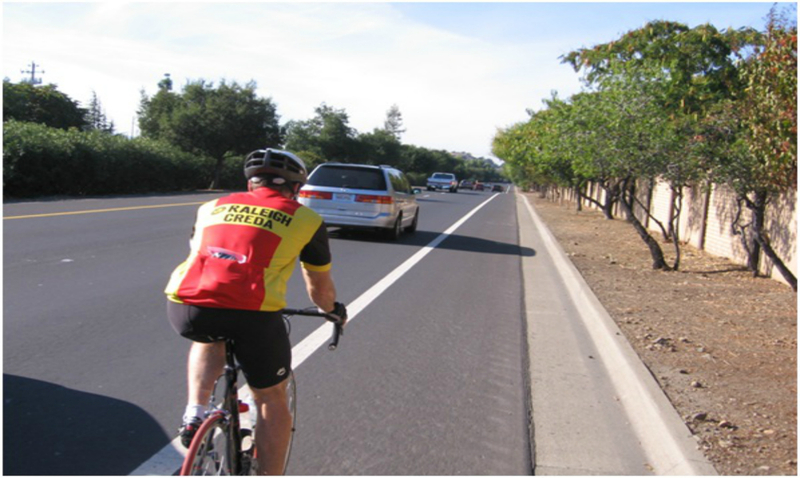 (Krasney Law, bicycle-accident attorneys of Redlands, wrote a blog about being doored.) Or, because autos needn’t change lanes if you’re too far right, they might even hit you. Driving in the middle of the lane actually protects cyclists against the most common motorist-caused crashes: sideswipes, right hooks, left crosses, and drive-outs. A bicycle driver’s top safety priority is to ensure he or she can be seen by motorists with whom they might potentially be in conflict, and bicycling in the middle of a lane is one of the most effective ways to do that. Most overtaking crashes involve a motorist who attempts to squeeze past (illegally) in a lane that is too narrow to share. Ride just one person on a bicycle. Never ride against traffic. In other words, always ride on the right side of the road. When bicyclists ride against traffic, motorists don’t have as much time to react, and they may not be expecting anyone and may not see you at all. Don’t ride on the sidewalk. Motorists often can’t see you there, and when you enter the roadway it’s a sudden surprise. Look ahead, of you, not toward the ground, so you can see what’s happening and have time to react and do defensive maneuvers. Stay off busy roads, and avoid riding during peak traffic hours. When riding with more than one person, ride in single file and keep some distance between each bicycle. Don’t ride when it’s dark or twilight. Try to avoid narrow roads and roads with speed limits over 35 mph, especially at or near dark. The most common way bicyclists get struck by motorists is by an auto coming from a cross street, parking lot or driveway to the right. Some bikers get hit by the car, and some hit the car if it pulls in front of the bike. There are several ways to let a motorist know you are coming from the left, including having a headlight on your bicycle, waving your hands from right to left to make yourself more visible, and slowing and riding farther left so you’re closer to the part of the road where he is looking. At a red light, stop behind vehicles so they don’t run you over if they turn right. If you stop alongside the car, especially in the blind spot, they may not even see you. Another thing to beware of is when cars pass you and then make a right turn in front of you, or similarly when you are just about to pass a car or truck and they turn into you as you come abreast of them. Again, ride farther to the left, and look in your mirror before entering an intersection or passing a driveway. Rear view mirrors, whether on the handlebar or the helmet, are very important. And don’t pass on the right, pass on the left. Before moving left to pass a parked car or avoid an obstruction in the road, always look behind to see if a car or truck is coming up. Also, don’t move back and forth between the parking lane and the road proper if there are intermittent parked cars. One of the rarest but hardest-to-avoid accidents is getting hit from behind. Get a light on the back of your bicycle, especially for night riding. Wear a safety triangle or invest in a reflective vest. Ride on slow, wide streets, and avoid riding on main roads on weekend nights because of all the drunken drivers. 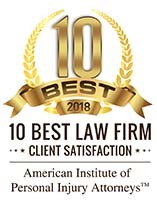 At Krasney Law: Personal Injury Specialists of San Bernardino, we have experience handling bicycle accident cases and will give you a free initial consultation to see if you have a possible case. 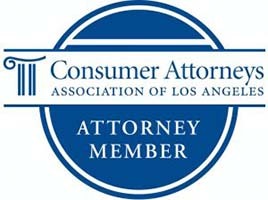 We can also discuss your accident, California law and advise you on how to proceed with the insurance company. We charge no fees unless you settle a case or go to trial. Give us a call at (909) 380-7200. Previous Post: What Steps Should Drivers who Get in Accidents Take? Next Post: Should an Adult Bicyclist Consider Wearing a Helmet?